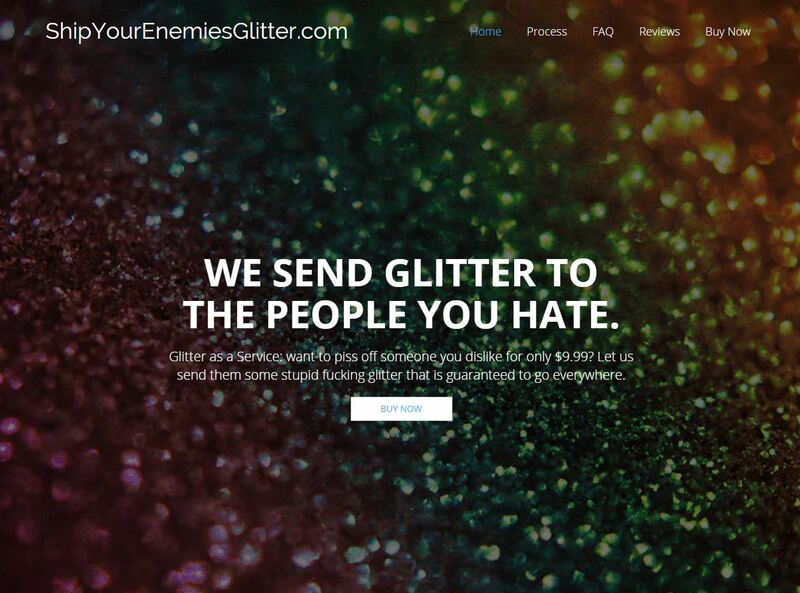 Just 24 hours after launch, ShipYourEnemiesGlitter.com is up for grabs. The viral sensation gained 1 million visits, 270k social shares, and five figures in sales after being shared on social networks such as Twitter, Reddit, and Facebook. Online news sources were quick to pick up the story, which further fuelled the traffic surge – it’s a situation that most small businesses (and larger corporations) dream of, but founder Matthew Carpenter wasn’t quite ready for this level of success. The main problem seems to be the founder’s hatred of their product; selling tens of thousands of pounds worth of glitterbombs means a lot of packing, and Carpenter explained that they were ‘making a heroic sacrifice’ as the glitter gets all over their working space. Rather than hiring additional staff, Carpenter felt it was best to simply sell the business. Unsurprisingly, the website crashed due to the sheer volume of traffic – on Reddit alone, the site received 3,900 upvotes and well over 1,000 comments. While the website was up and running again shortly after, the site then stopped taking orders, and was eventually put up for sale. So, what can marketers and smalll businesses learn from this? Well, an original concept can definitely gain traction quickly. It’s clear that even the founder didn’t expect this level of success but the idea resonated with people all over the world. Unfortunately, we’ll never know if something like this can maintain sales in the long run or just has to capitalise on sales when the idea is still fresh. We have already seen a lot of copycat websites, but none are experiencing the same level of success. The business didn’t just have a great idea – the execution was excellent too. The brand had a clear personality and every element of the site reinforced it. The copywriting was blunt (and occasionally crude) but worked perfectly with the service and the attitude behind it. 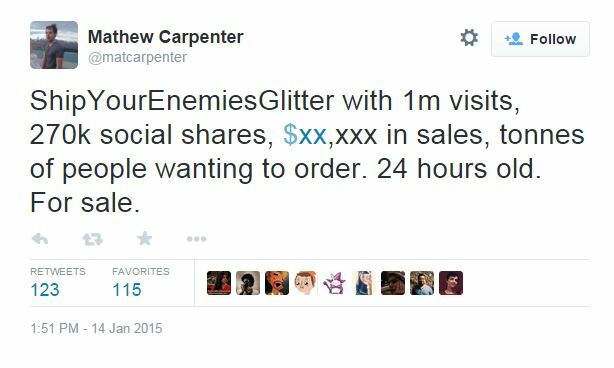 People who want to launch an offensive through the medium of glitter definitely don’t shy away from swearing or funny reviews, and Carpenter seemed to know his demographic perfectly. If you are relying on social shares, traffic, and a viral campaign to gain conversions, it’s absolutely essential that your site can handle the volumes. Countless websites go down after a successful campaign, which can be extremely frustrating for users and can damage reputations (especially if it’s a reoccurring problem). 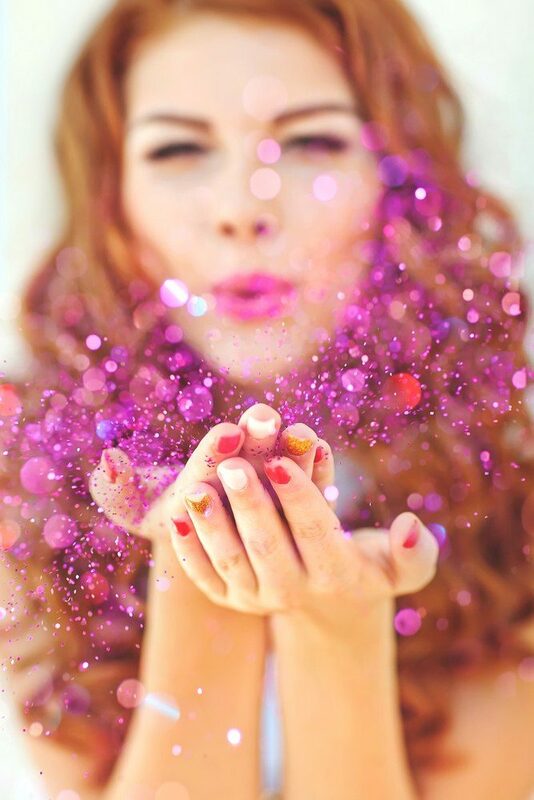 And finally, if nothing else, we’ve learned that the internet really, really hates glitter.